Here’s how you know when a work of literature has truly become an indispensable part of the canon: When writers begin looking at supporting characters as subjects for their own stories. It happened when Tom Stoppard spun-off Shakespeare’s Rosencrantz and Guildenstern; it happened when Marion Zimmer Bradley wove the ladies of the Arthurian legend into The Mists of Avalon. And it happened when the unlikely team of composer Stephen Schwartz (Godspell, Pocahontas) and writer Winnie Holzman (the late lamented TV series My So-Called Life) created a tale from The Wizard of Oz’s witches. 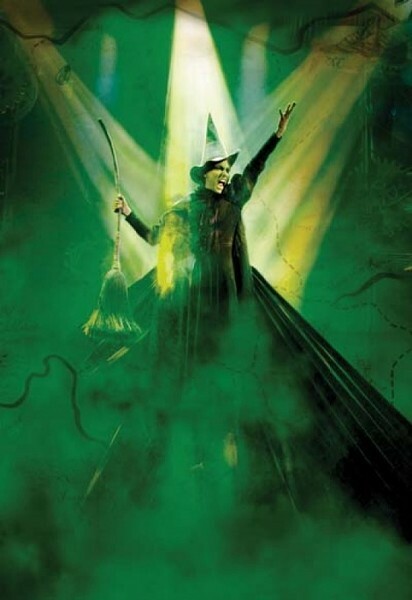 Here in Oz, the green-skinned Elphaba and the lovely, ambitious Glinda aren’t exactly two of a kind. But they’re destined to become both schoolmates and adversaries in a time before a certain little girl from Kansas crash-lands in their world. How did the monkeys come to have wings? Why did the “wicked” witch’s sister have ruby slippers? Learn it all, and come away humming.